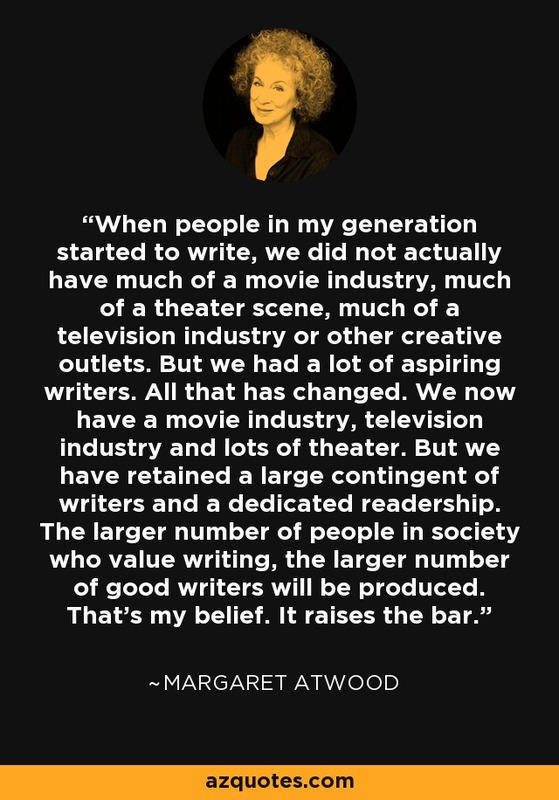 When people in my generation started to write, we did not actually have much of a movie industry, much of a theater scene, much of a television industry or other creative outlets. But we had a lot of aspiring writers. All that has changed. We now have a movie industry, television industry and lots of theater. But we have retained a large contingent of writers and a dedicated readership. The larger number of people in society who value writing, the larger number of good writers will be produced. That's my belief. It raises the bar.